Built in 1887, the Stennett House was converted in 1919 into a two flat including an addition to the south. Stucco was applied, covering the original siding. The 1895 Sanborn Fire Insurance Map indicated that a wrap-around was original to the east and south facades. 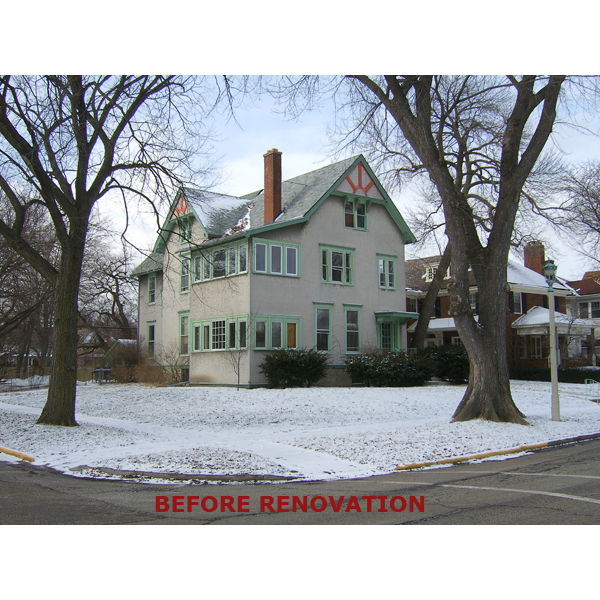 The stucco was removed revealing the clapboard siding and new double hung windows installed. Based on similar period homes, a new porch, three car garage and summer kitchen was designed and added. The interior was rebuilt including all new mechanical, electrical and plumbing systems.